Paul Manafort, the former campaign chairman of Donald Trump, violated his plea agreement by lying to the FBI and the special counsel Robert Mueller’s office “on a variety of subject matters,” according to a court filing. Manafort’s attorneys disputed the special counsel’s characterization. It was not immediately clear what Manafort had lied about. Mueller’s office said it would provide further information in a later court filing. Paul Manafort, the former campaign chairman of Donald Trump, violated his plea agreement by lying to the FBI and the special counsel Robert Mueller’s office “on a variety of subject matters,” according to a court filing on Monday. “A breach relieves the government of any obligations it has under the agreement … but leaves intact all the obligations of the defendant as well as his guilty plea,” the court filing said. Manafort’s attorneys disputed the special counsel’s characterization and said their client “provided information to the government in an effort to live up to his cooperation obligations,” the filing added. It was not immediately clear what Manafort had lied about. Mueller’s office said it will provide further information in a later filing, according to CNN. In September, Manafort pleaded guilty to one count of conspiracy to obstruct justice and one count of conspiracy against the US. A source with direct knowledge of the matter told INSIDER at the time that Manafort’s plea deal with Mueller was still intact. But ABC News reported that the dispute between the two sides stemmed from suspicions that Manafort was not being entirely forthcoming about all the information he may know that’s relevant to the Russia investigation. Trump’s lawyers have also previously said that Manafort’s legal team was keeping them informed of the former Trump campaign chairman’s actions. Renato Mariotti, a former federal prosecutor in Chicago, pointed out the “highly unusual” nature of such a claim. 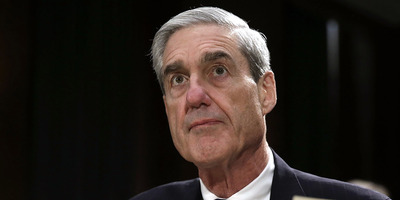 “It never ceases to amaze me how people can just dig themselves deeper in trouble,” Jeffrey Cramer, a longtime former federal prosecutor who spent 12 years at the DOJ, told INSIDER in response to Monday’s news. Though prosecutors can vacate Manafort’s plea agreement, they may not want to do that yet because it would result in another lengthy trial. But the problem is “that he’s making himself a more difficult witness to use as he continues to lie,” Cramer said. Mariotti wrote that Manafort may now be in a more precarious position than he would have been if he didn’t cooperate in the first place. Prosecutors indicated in Monday’s filing that they will soon file a “detailed sentencing submission” that will lay out the nature of Manafort’s alleged “crimes and lies,” including those that occurred after he signed a plea deal. That means the judge overseeing his case will learn, in detail, of Manafort’s alleged efforts to mislead investigators. The former Trump campaign chairman is a significant figure of interest in Mueller’s inquiry, which is examining Russia’s interference in the 2016 election, whether the Trump campaign colluded with Moscow, and whether Trump sought to obstruct justice after he learned of the investigation’s existence last year. Andrew Weissmann, a prosecutor working for Mueller, told US District Judge Amy Berman Jackson when Manafort’s plea deal was announced that Manafort would cooperate “in any and all matters as to which the government deems the cooperation relevant,” including “testifying fully” and “completely” before a grand jury.